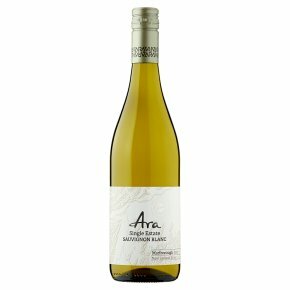 Ara's wines are produced from their sustainably managed vineyard in the most south-western corner of Marlborough and deliver an intense and unmistakable purity. More elegant than many of its Marlborough competitors, this displays pronounced grapefruit aromatics with restrained mineral and flinty characters on the palate and a fresh finish. Wine of New Zealand. Purity comes from a single, unblemished source. Ara Single Vineyard wines are the embodiment of this. Sourced exclusively from our sustainably managed vineyard hidden in the most south eastern corner of Marlborough. This Sauvignon Blanc is a pure expression of our single vineyard, delivering vibrant stone fruit flavours balanced with accentuated grapefruit aromatics.